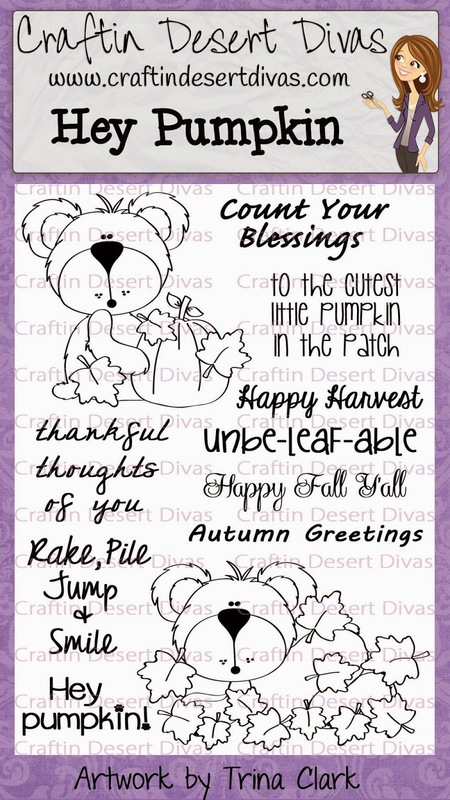 Welcome back to Day 2 of our seventh Craftin Desert Diva's stamp release blog hop!! We're super excited to share with you in full the CDD August release stamps. 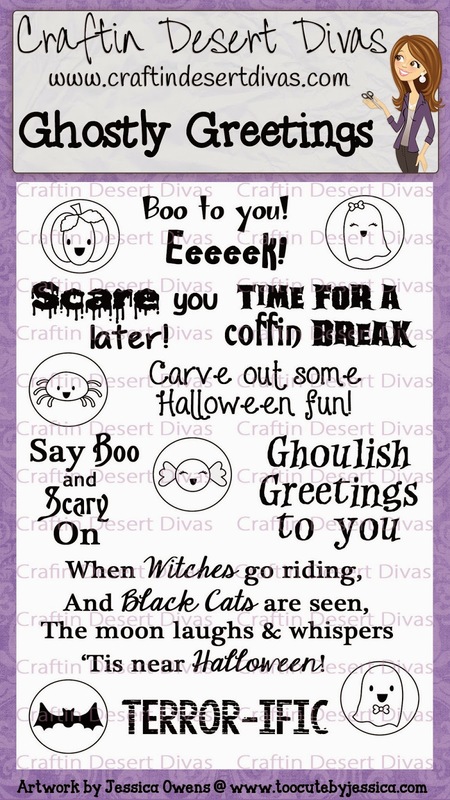 Are you ready for some awesome Fall and Halloween projects? Well if you are, then you've come to the right hop!! 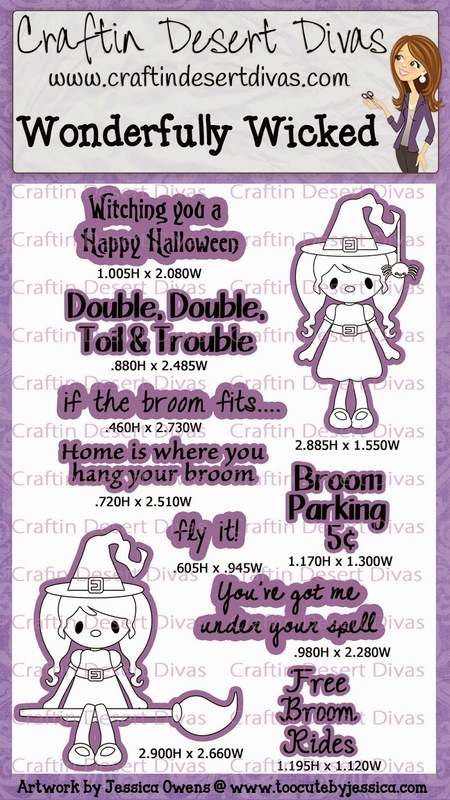 There were six new stamps that were released yesterday in the Craftin Desert Divas Shop and are available now for purchase. 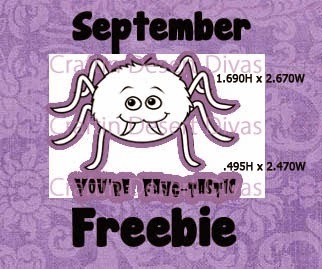 This makes it so easy, you just cut out the image and then stamp on it. 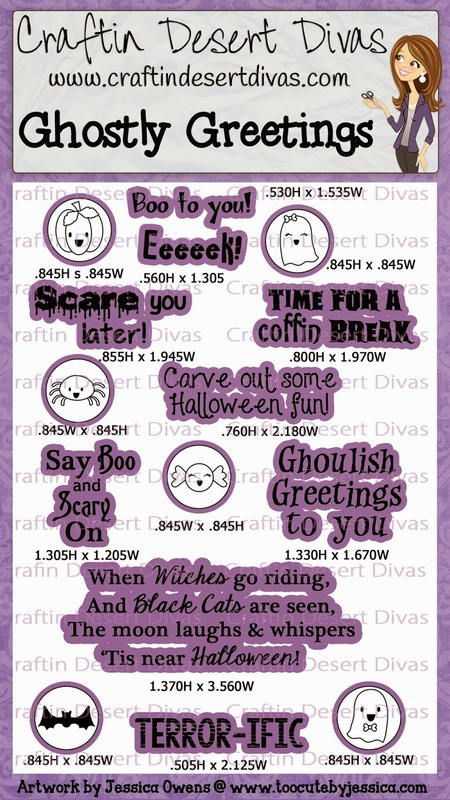 The SVG cut file will be in the CDD Gallery for you to download or after purchase just send an email to craftindesertdivas@gmail.com to claim your SVG cut for the stamp set you purchased. 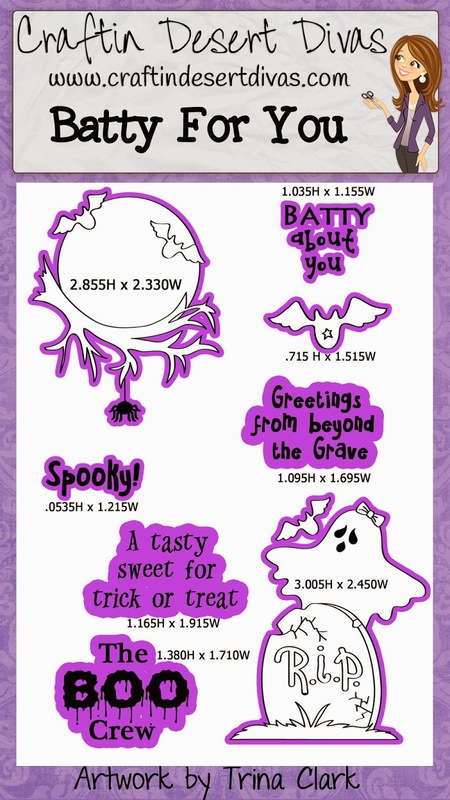 I've also added images and sizes for the SVGs in the CDD Shop. 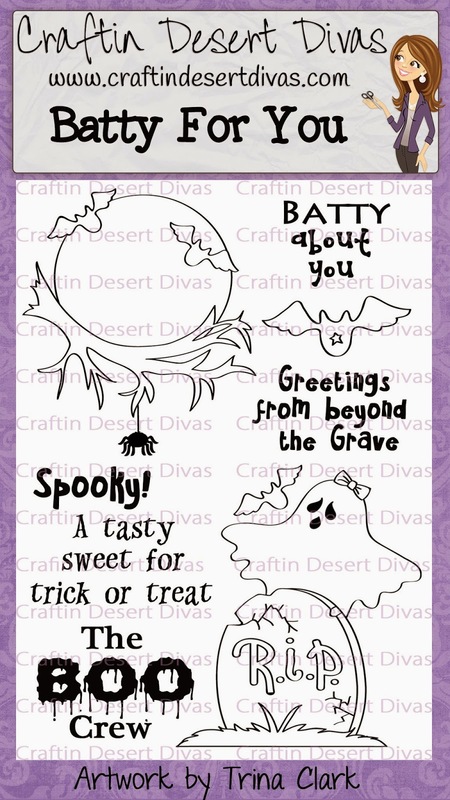 These SVG outlines are in the CDD Gallery or email me after your stamp purchase and I will send them to you. We have a few specials starting today!! 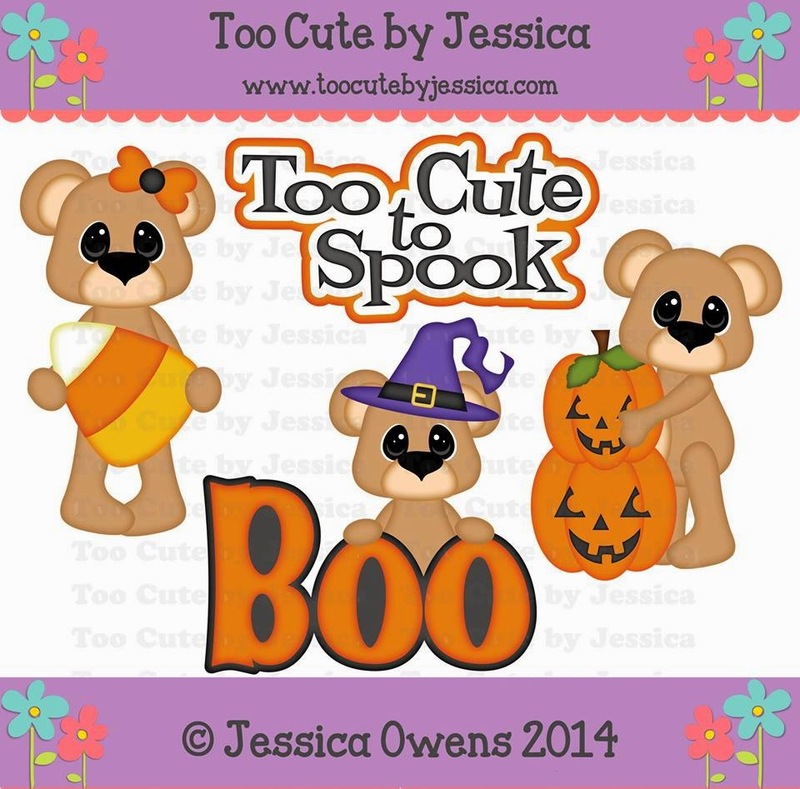 Every purchase receives a FREE Too Cute by Jessica SVG pattern made especially for this release. 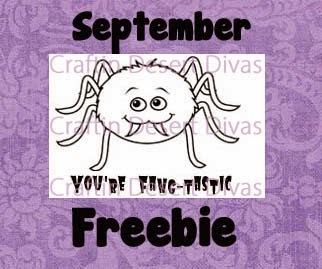 With a minimum 2 stamp purchase you will receive a FREE mini stamp. I will add it to your order. Use code: SEPTEMBER to save 20% off your ENTIRE purchase. The mini stamp & sale will end Sept. 30, 2014. We also have a SVG outline for him! Tara is giving away one stamp set each day & Too Cute by Jessica is giving away $25 gift card to her store (regular priced items). As you can probably tell I'm really loving all these fun treat boxes. This box is from the Silhouette Store #66528 by Jaime Cripps. 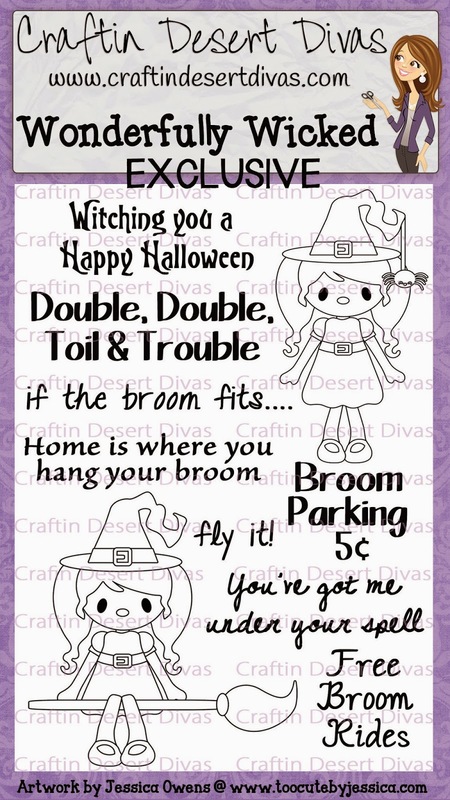 The paper is from Doodlebug Design Friendly Forest. That adorable squirrel and acorn are from Too Cute by Jessica Nutty For Fall pattern. I thought he went perfect with my new Hey Pumpkin stamps. I've used 2 sentiments on my treat box. 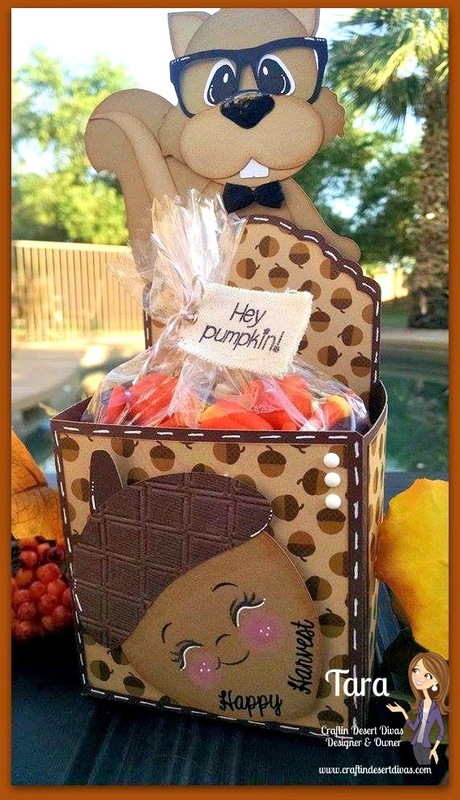 I thought this would even make a great treat box for a male as I find making guy items very challenging. To finish it up I added a PKS face to the acorn, glossy accents to his nose and embossed the top of the acorn to finish it. I hope you have enjoyed this release and can't wait to show you what we have in store for you next month!! Winners will be picked from a different blog each day,so the more you comment the more chances you have to win. Winners and new CDD DT announced tomorrow!! Tara!! !...this is just too cute for words!!! I absolutely love it! Love the whole project! It is so cute! Love your box the squirrel is so darn cute!!! Your squirrel treat box is so sweet!! Who wouldn't love gettting a sweet treat in that box!! Love the acorn too!! Love, love, love this treat box. That squirrel is just too stinking cute! Can't wait to sit down and play with that file! Wow, how cute is this!! I love it!! Wonderful creation. I want to trick or treat at everyone's house for these creation & the goodies inside of them. There is a problem or seems to be when I click on Shelly's link listed above, I was able to get to Shelly's blog from another person's blog. Honestly this could be in a magazine. Very well done! Love it to bits. Actually I am NUTS about it!! lol sorry couldn't help that! Hey ya'll. Love all your ideas and creations. Keep up the great work ya'll. Another very cute project i just have to make. That squirrel is so adorable! 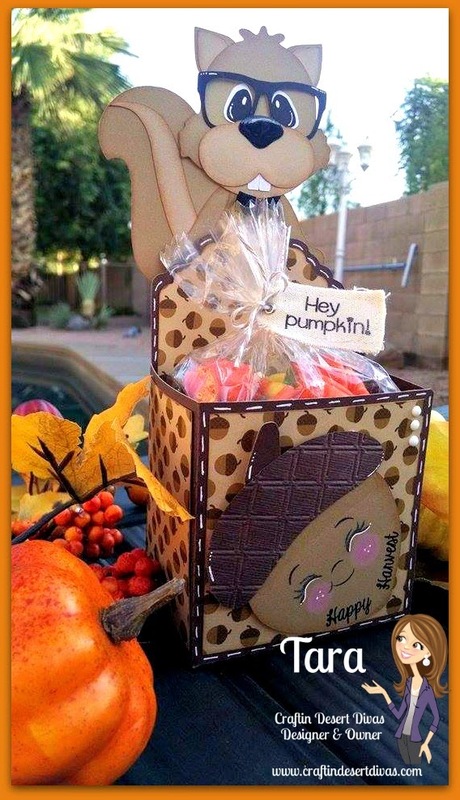 Thanks for sharing this project and giving inspiration, I've got that treat box on my wishlist in the sil store now! Oh Tara, your treat box is just too adorable. Love the cute squirrel with his glasses!! Totally adorable!! Love the paper! Cute.. I like the glasses. Thanks for sharing. 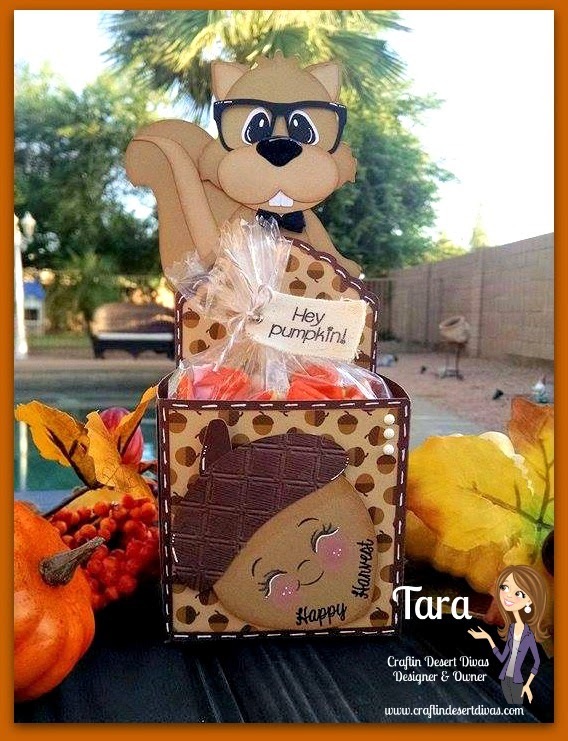 Tara, your treat box is adorable! Love it! The squirrel is adorable and love the glasses. Great treat box. Oh my! So darn cute! Love love love everything about this treat box!!!! So So darn cute! 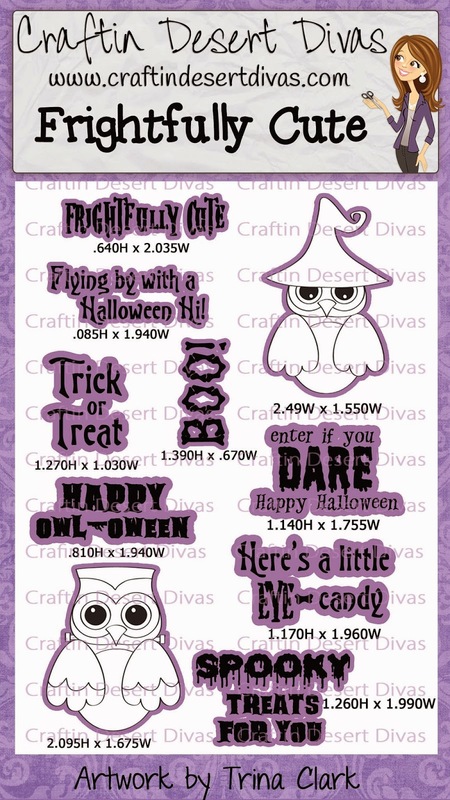 I'm going nuts over the cuteness of your projects and you stamps. OMGosh your treat box is soooooo CUTE. Thanks for sharing. Tara, I love your project! That squirrel is so cute, and love the acorn face! Wonderful stamp releases and marvelous project - thanks for the hop!